The atmosphere in Badlands is extraordinary. I live in the high desert but the descriptions of a North Dakota winter were so effective that I actually got a blanket to use while reading it. I also enjoyed Kyle as he was a most unusual protagonist. Most of the plot twists were easy to foresee but I enjoyed the setting and characters so much that I am still giving this novel four stars. I would recommend reading the previous book in this series, The Highway, before reading this one. 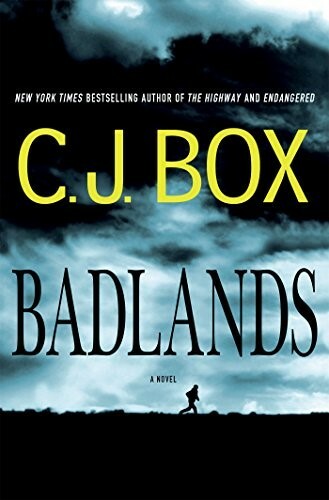 Not only does the plot and Cassie, the Chief Investigator’s, motivation come from the previous book, but Badlands tells enough of its story to make reading it later redundant. Since The Highway won an Edgar award that would be a shame.